Loxicom 1.5mg/ml Oral Suspension for Dogs is recommended for the alleviation of inflammation and pain in both acute and chronic musculo-skeletal disorders. 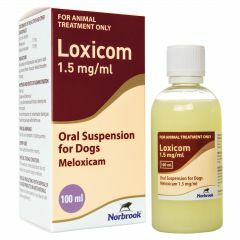 Loxicam 1.5mg/ml Oral Suspension for Dogs is available in 10ml, 32ml and 100ml pack sizes. 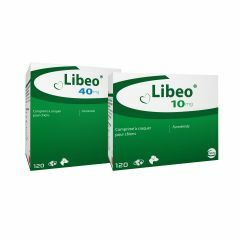 Libeo Chewable Tablets for Dogs from CEVA is a palatable treatment for the management of heart failure in dogs. 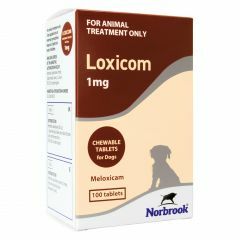 Loxicom Chewable Tablets for Dogs are for the alleviation of inflammation and pain in both acute and chronic musculo-skeletal disorders in dogs. 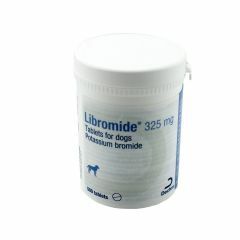 Libromide tablets are used in the control of fits or seizures - called epilepsy in dogs. 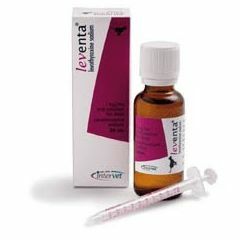 Leventa 1mg/ml oral solution for dogs is used in the treatment of hypothyroidism in dogs.